Father Christmas Drops In With a Sackful of Great News! 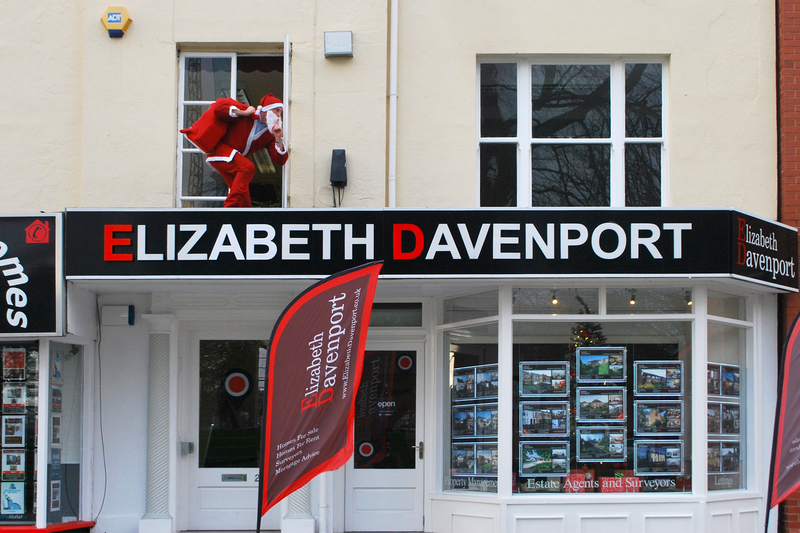 Dear Father Christmas, On behalf of all of the staff at Elizabeth Davenport we’d really like to thank you for your visit and for the wonderful news! Your Elves really brightened up our day when they told us we’d made the Christmas Number One for instructions worth over £120,000 this December. What fantastic news! So many agents seem to have struggled this past month, which in fairness is the norm. In fact, being Number Two for instructions at any price gives us the same illustrious standing as Beiber and Bruno Mars so we can’t complain at that either! I’d also like to thank you for making sure that George received the fantastic camera and equipment he asked for. They’ll certainly be put to good use (He asks for the same thing everything year and you’ve never failed to deliver!). Well, for this year I think it’s time to say goodbye, give my best to Mrs Christmas and Rudolph (tell him I didn’t mind clearing up his mess from the roof!) and we’ll be sure to drop you a line again next year! Kind regards, Mark. A Different Nicholas Arrives This Festive Season! It Pays To Be Ready! Without further Ado and with the Festive Bells ringing as my pen hits parchment, Elizabeth Davenport are really pleased to welcome Nick “Not just for Christmas” Luntley to our burgeoning office on Warwick Row! Having started his Estate Agency career in 2005, Nick has truly worked his way up through the business. Tea was soon sitting cold and biscuits stale as his desire to become the best Estate Agent possible become reality. 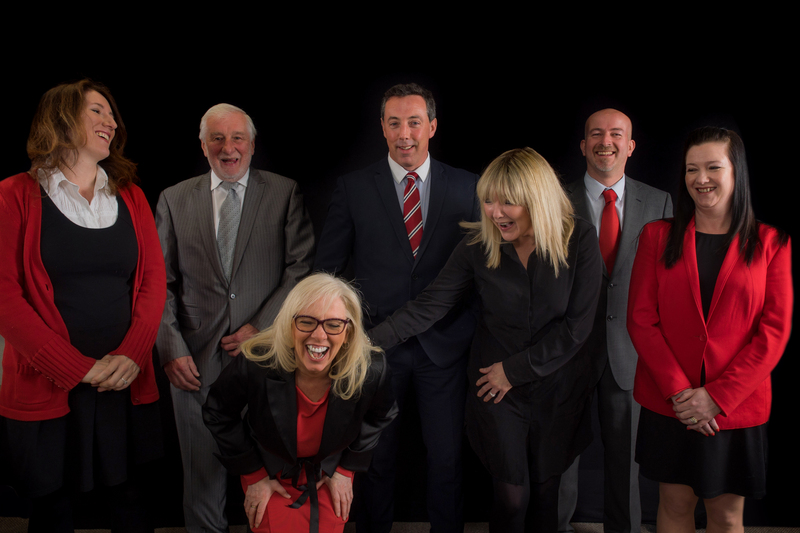 Leaving a successful position as Sales Manager of a much respected Coventry Estate agent means a lot to us. St Nick, you’re welcomed with open arms! 2015 has been a very busy year for everyone. Our office has grown dramatically. 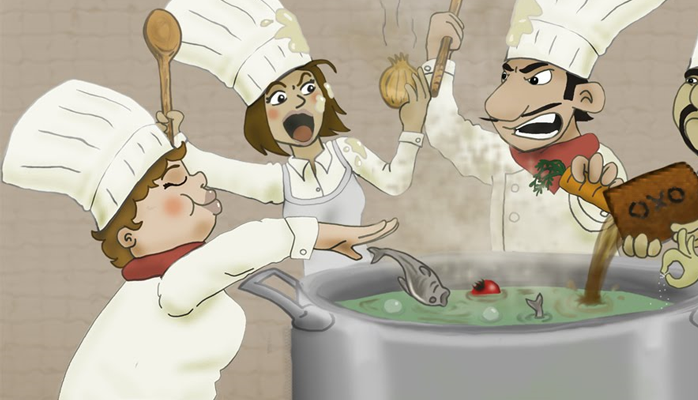 So, when volumes of business increase, the key is not counting the profit (Scrooge, take note!) but retaining and further improving our customer service levels by employing the right team. With Rightmove actively marketing the fact that the Christmas period is the busiest for Online viewing, promoting your house now, rather than later can be a positive and genuinely beneficial decision. As the interest in your home grows, decisions to view are made and in the New Year they happen! Of course no one will want to view over the Christmas weekend, but they’ll be getting excited! So, if you get a knock on the door on Christmas Day it won’t be me. It might be St Nick though! Just last week we received instructions to sell a property in Coventry. The agreement was for 2 agents (Elizabeth Davenport plus one of our competitors) to market the property simultaneously. The idea of appointing 2 agents is to get a quicker sale for the client and because of the extra competition, presumably obtain a higher price for the property. Sadly the arrangement soon became counter productive. The other agent involved received the first offer on the property. Their immediate response to this was to suggest to the owner to quickly accept the offer and remove the property from the market. Under any circumstances this is not the best advice to give especially when an offer has just been received and there are several other viewings booked in. Higher offers could well follow from other buyers so to accept the first offer instantly is questionable. As it happened our agency subsequently negotiated a higher offer with a second buyer, well in excess of the one received via our competitor. By then though a deal had been struck and the original offer firmly accepted. The owner of the property, true to their word decided to stick with the original deal. They have now been left substantially out of pocket. If one Estate Agent had been appointed then a different outcome would probably have prevailed and I suspect the owners would have now accepted a substantially higher offer on their property. Using multiple agents to sell your home is often NOT the best way forward. 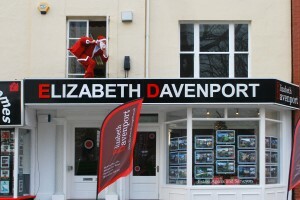 Elizabeth Davenport specialise in sole agency and will get you the best results bar none. Call our office to day and arrange a free valuation for your property. Once you’ve marketed your property for sale and received viewings (all being well) the offers will start to flood in. It’s easy at this point to play buyers off against one another in order to drive the sale price as high as possible. However this is also an ideal opportunity to cherry pick the best buyer that can proceed to completion in the smallest time frame with the minimum amount of fuss. Finances: does the buyer require a large mortgage or are they a cash buyer? Chain Details: Does the buyer have a property to sell and if so how long is the chain? Solicitors: Does the buyer already have a solicitor. If they do is it an established local practice or a cheap conveyancing warehouse found on the internet? Your Estate Agent can advise you on the suitability of any particular buyer. The amount they have offered is clearly an important factor but you should strongly consider the buyer’s circumstances and sometimes it may be better to accept a lower offer if the underlying circumstances are superior. Having the luxury of multiple offers often depends on how good your Estate Agent is at attracting buyers in the first place and this as always comes down to the quality of the marketing materials and setting the correct asking price. 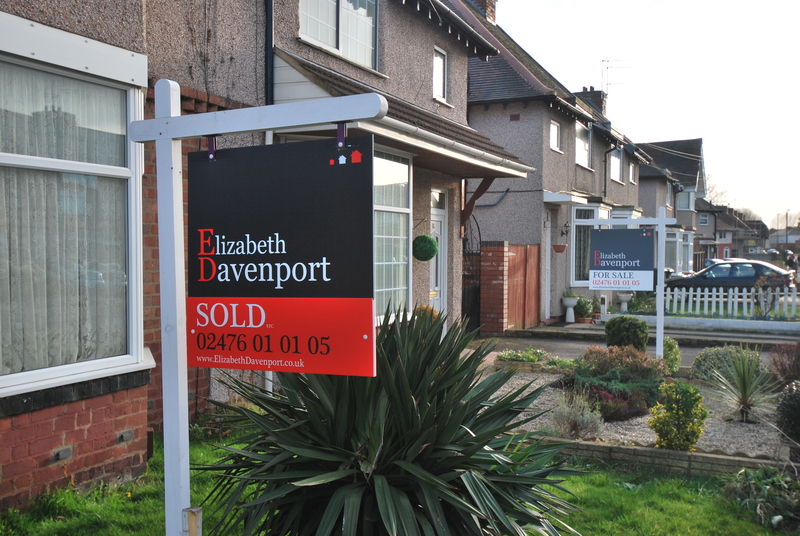 Elizabeth Davenport are experts at maximising the number of viewings on a property and this in turn often leads to multiple offers and finding the best buyer. Call us today on 02476 010105 to arrange for your free, no obligation valuation. Once your home is on the market and buyers have been to view, your Estate Agent will start to send through feedback from each applicant explaining exactly what they thought of your property. There are opportunities here to try and make sense of the comments that come back and possibly act upon them if no offers are forthcoming. Sometimes feedback can be very revealing and point to a specific problem that needs to be addressed or overcome. If a buyer has one particular objection about a property then this is often a positive sign. So if they are worried about the busy road but like the property generally then it’s the job of your Estate Agent to sell them the positives and try to persuade them to make a compromise on this particular point, perhaps by mentioning that similar properties on a quieter road would cost that much more. Or maybe if the garden isn’t quite as big as they hoped, the generous living space will make up for this and again, the buyer may be prepared to compromise. Of course if the buyer reels off a whole list of reasons why they’re not interested or says that they simply “didn’t get the right feel” then it’s unlikely that they’ll be making an offer. Similarly if the house itself is too small for their needs or the location just isn’t right, it’s unlikely things will progress. On average you’ll probably need around 8-10 viewings to receive an offer. If you’ve had umpteen viewings with no offers and lots of negative feedback then this is the market’s way of telling you that the price is probably too high. Similarly, no viewings at all after several weeks usually either means the price is too high or that the marketing details produced by your agent are not up to scratch. Take a look at the photos your agent has produced. Are they crisp, well composed and brightly lit? If the photos are poor then buyers will assume the house is poor so don’t put up with poor quality marketing from your agent. Finally be prepared to act upon feedback and liaise closely with your Estate Agent throughout the process. If buyers keep pointing to that damp patch on the ceiling or that peeling paintwork on the front door, then you really need to get it sorted. Communication is key and if you listen to what the market is telling you then you’ll be well on the way to finding that right buyer and achieving a sale. The short answer is that either of these methods can work well. A confident homeowner can do the job very well, the key is simply not to try too hard. You have to understand that you can’t hard sell a home to someone. They will often get a feel within a minute or two of entering the property and if it’s not for them then no amount of sales tactics will change their mind. So if you are orchestrating your own viewings, simply be friendly and helpful when buyers come round to look. Point out things that may not be obvious to a potential buyer such as underfloor heating or proximity to good local schools. DON’T point out the glaringly obvious (“This is the toilet”) and DON’T bore them to death with the technical details for the boiler. Take the opportunity to tell the buyers exactly what you have enjoyed the most about your time living at the property. Be honest and sound passionate and don’t make it sound sales like. If you do not fancy the prospect of watching strangers nose round your home than ask the Estate Agent to do the viewings on your behalf. If you go down this route then it is very important to let the agent do their job and make yourself completely scarce. That means you GO OUT prior to all arranged viewings. There is nothing more off-putting to a potential buyer than being shown around a nice property by the Estate Agent, only to walk into the Living Room and find the homeowner lounging on the sofa with a bowl of peanuts watching Jeremy Kyle! As you can imagine this creates a very awkward atmosphere and at this point many viewers will feel obliged to engage with the owner of the house (or vice versa) through a sense of politeness. A confusing exchange then normally takes place during which the homeowner often contradicts everything that the Estate Agent has previously mentioned and the whole viewing process becomes very disjointed. If the buyer leaves the house feeling awkward then that is exactly what they will remember about the property………..it felt awkward. So you can rest assured they won’t be making an offer. REMEMBER. If the price is set correctly and the marketing details are spot on, then most properties will sell themselves. Buyers simply need to be given the opportunity to look round un-rushed and unhindered and fall in love. Then they will make an offer…………..
Should We Have A ‘For Sale’ Board? Many homeowners are unsure whether to have a ‘For Sale’ board when they place their property on sale. There are a number of reasons they might think of to not have one: They don’t want to upset the neighbours. They don’t want people knocking on their door. They think it might be a security risk. Buyers expect a house that is for sale to have a For Sale board outside it. A board sends a very positive message to buyers by confirming that the seller is committed. A board helps buyers to locate and identify the property when they come to view, making their experience an immediately positive one. Many buyers go on a Sunday afternoon drive searching for ‘For Sale’ boards in their preferred locations. I myself have bought 3 properties, all of which I discovered via the ‘For Sale’ boards!! The neighbours will know that the property is on sale very quickly via the internet anyway so not having a board won’t stop them finding out. It’s best to simply tell them yourself than let them find out the hard way. If your Estate Agent has an attractively designed board, this can add to the kerb appeal and the saleability of your property.